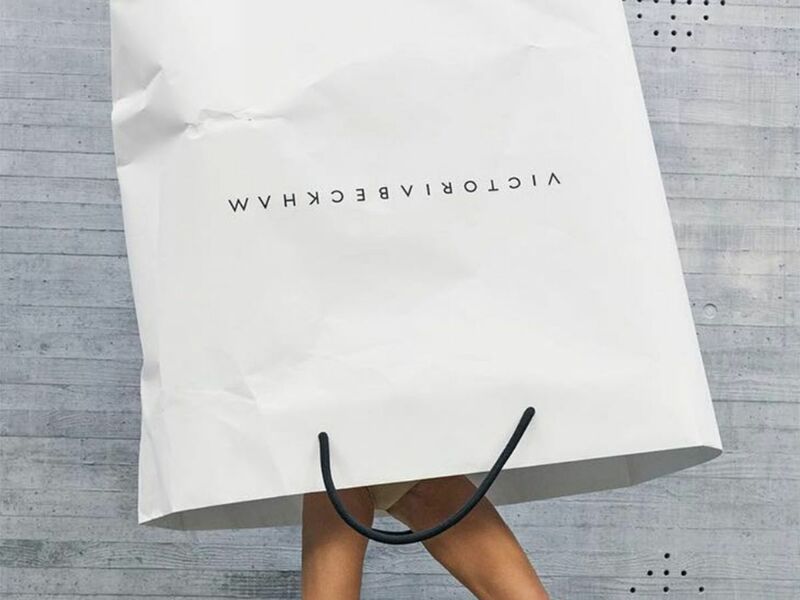 With London Fashion Week just around the corner, we’re awaiting spring 2019’s anticipated highlights with bated breath: Riccardo Tisci’s debut at Burberry after 17 years under Christopher Bailey; the first fashion week to be totally fur-free; schedule first-timers Alexa Chung and RIXO; and, of course, Victoria Beckham’s homecoming. The designer’s brand is coming to London for its 10th anniversary, having shown in New York for the past decade, and is hosting what’s expected to be a blockbuster of a show at Mayfair’s regal Galerie Thaddaeus Ropac. Beckham’s new collection will be available for selected clients to purchase straight from the catwalk at the brand’s flagship nextdoor. Today, though, Beckham announced the launch of a piece you can nab for a reasonable(ish) price. Remember back in 2008, when, amid naysayers doubting her move from pop star to designer, Beckham teamed up with legendary photographer Juergen Teller and Marc Jacobs? Beckham, showing self-deprecation and a sense of humour about her public ‘no smiles, please’ persona, was shot with her legs emerging from a giant Marc Jacobs-branded bag. The brand’s campaign – the first in which Beckham herself appears – will be printed on a limited run of T-shirts, available to buy after the catwalk show on September 16. A collector’s item for sure, the tee costs $150, and if you get to the Dover Street store in time, you’ll be served by the designer herself, who will be behind the register once she’s taken her post-show bow. Whether you’re most thrilled about watching her emotional homecoming, seeing the new collection, or getting your hands on this collectible slice of the brand, there’s no doubt that excitement is mounting for Beckham’s return to London. Safe travels, VB.